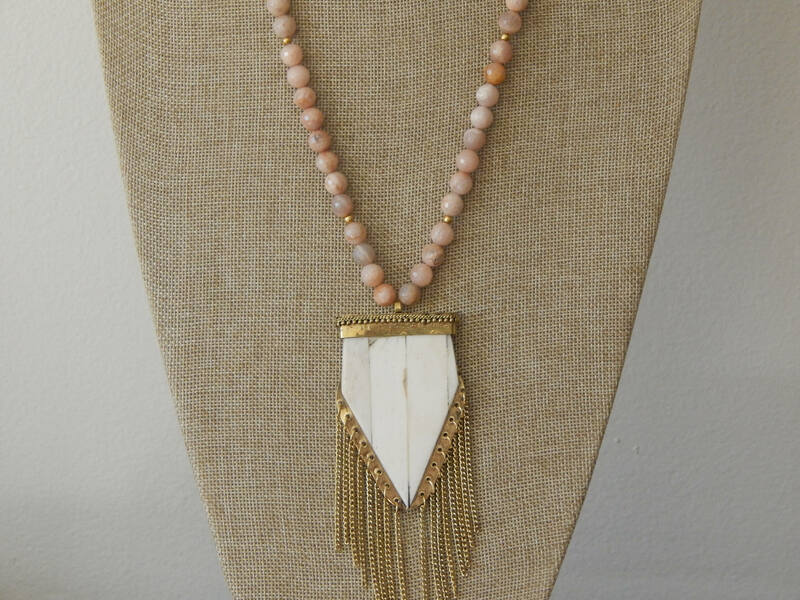 Faceted peach sunstone beads hold a beige arrowhead pendant with a gold fringe. 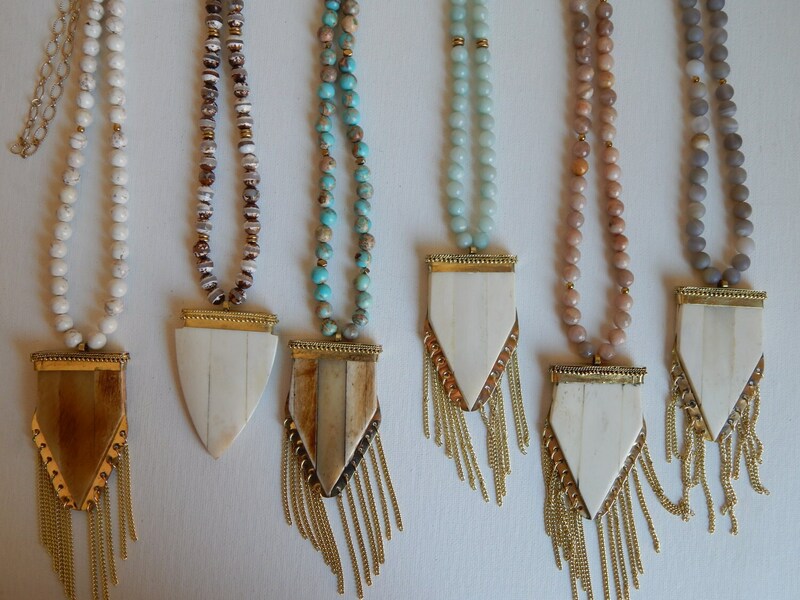 This is a perfect mix of neutrals that can be worn alone or layered with others for a stylish bohemian look. The peach sunstone is a summer favorite that you'll be reaching for everyday. 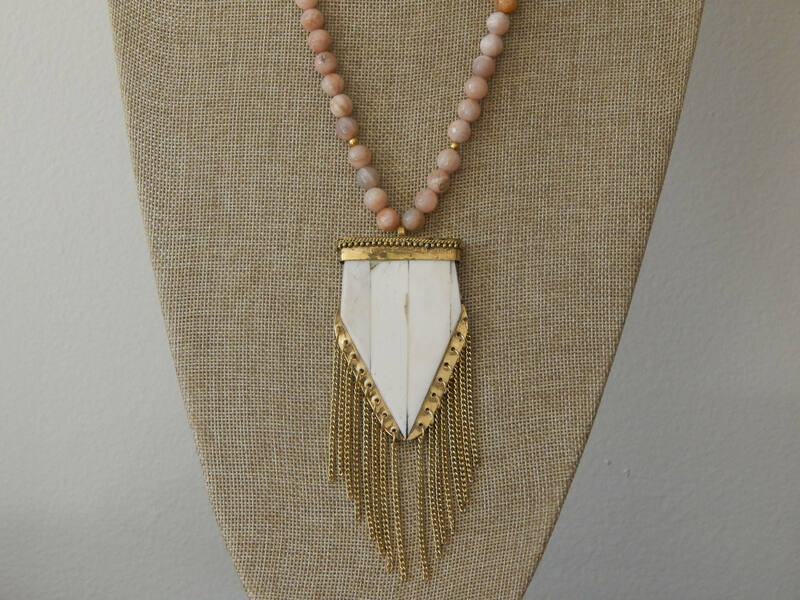 ***Listing is for the sunstone necklace only. Others can be found in my shop.